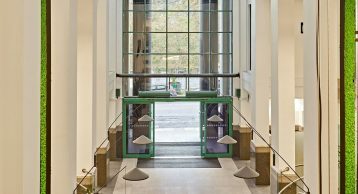 Located in the heart of the Edinburgh’s business and cultural district with unrivalled views towards Edinburgh Castle, Saltire Court provides Grade A office space to a mix of the city’s top level businesses such as Deloitte, KPMG, and CMS. 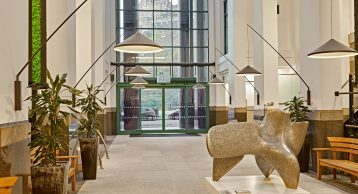 Such a building needs to ensure its interior lives up to its construction and location to make the right first impression on its high-end tenants, visitors and their clients. 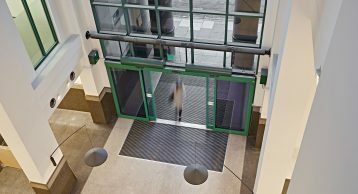 Our flagship INTRAflex XT Entrance Matting boasts optimum dirt and moisture removal to ensure the reception maintains its fresh, modern look. 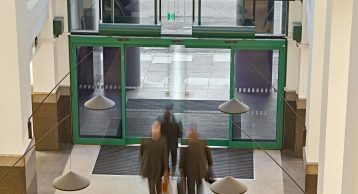 INTRAflex XT is suitable for high traffic areas and its removable sections make it easy to clean and maintain, providing superior performance across its lifespan. 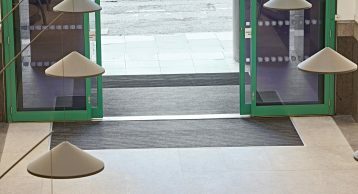 Combined with high quality 100% recycled Econyl INTRAlux Premier 130 Black Fibre the end result is not only environmentally sustainable but extremely durable and functional. 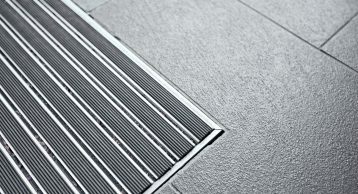 Monofilament scrapers in the sheet fibre provide maximum dirt removal and moisture retention, keeping the flooring surfaces, clean, safe and aesthetically pleasing. 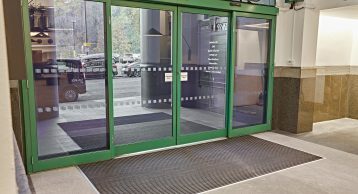 By leaving dirt and moisture at the door, Saltire Court also benefits from reduced cleaning costs, which supports their focus on environment and wellbeing. 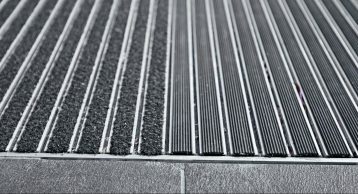 By employing our Zonal System, ribbed rubber inserts work to trap moisture externally whilst the fibre inserts trap dirt internally, forming a highly effective Entrance Matting System. 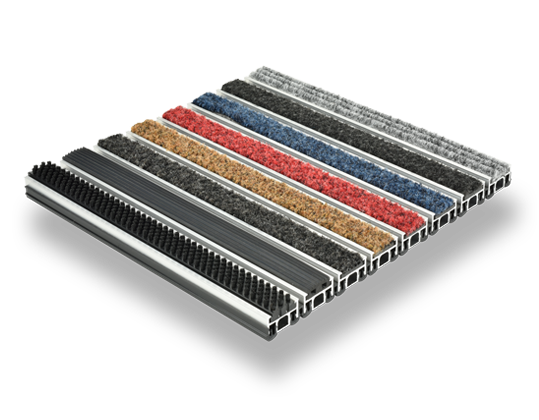 Why not request a FREE sample or contact our dedicated sales team to learn more.